We will have an interest meeting in two weeks on Feb 26 at 8:00pm at the church. All scouts, parents and interested parties are invited. We will meet upstairs in the Mattie Bell Bldg. We will discuss the general calendar, dive certification, and particulars of the trip. A Signup Genius is available for the food and other needs for hosting our Webelos Invitational Thanksgiving Feast. Parents, please help by volunteering time, bring food, and come eat. As we get closer to the event, we will update the sign up if we need extra items. This information includes the Eagle Scout application, candidate instructions, Eagle project workbook, and reference letter request form. If your scout is new to the troop or did not go to summer camp or on the high adventure trip this year, please take the time to fill out the forms and return a copy to me for troop records. 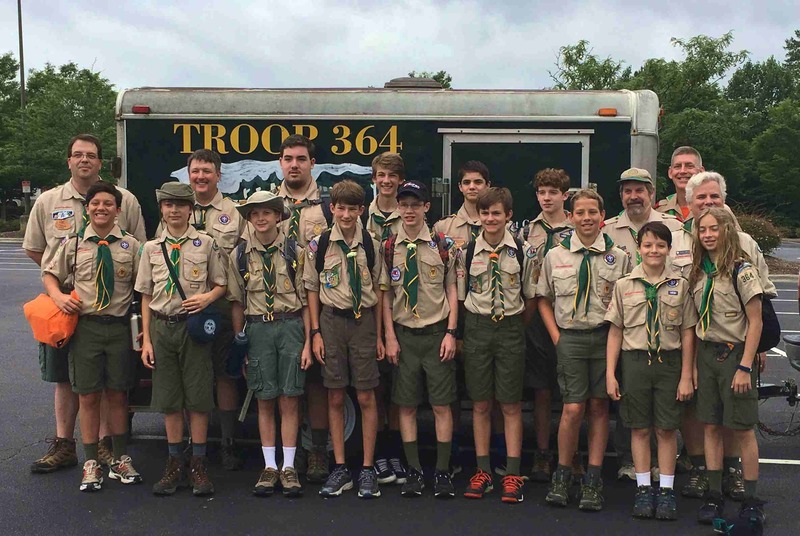 Parts A and B are required for anyone participating in our monthly camping trips, though we would like to have copies for ALL members of the troop. Joel Howell's Eagle Ceremony will be held at the North Raleigh United Methodist Church on Thursday August 9th at 7pm.